Earners of this badge have developed a foundational knowledge of the federal student loan servicing system. Participants exit the program with an understanding of how the servicing system works, how actors in the system interact (services/borrowers/government), and how servicers are selected and monitored. Knowledge gained can be leveraged to provide analyses of the system’s strengths and weaknesses, craft potential improvements to the program, and write and analyze legislative proposals. 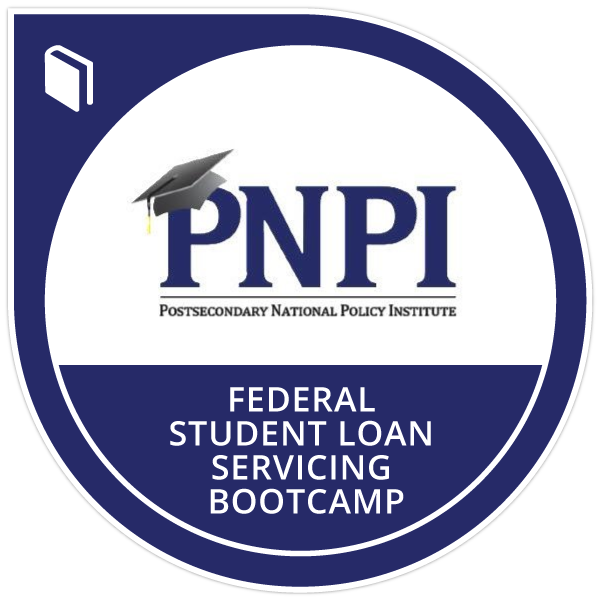 Full participation in the Postsecondary National Policy Institute’s two-day Federal Student Loan Servicing Boot Camp.